Given my penchant for barely-there makeup looks, I'm so surprised it's taken me so long to try anything from the queen of natural-looking makeup herself, Bobbi Brown. 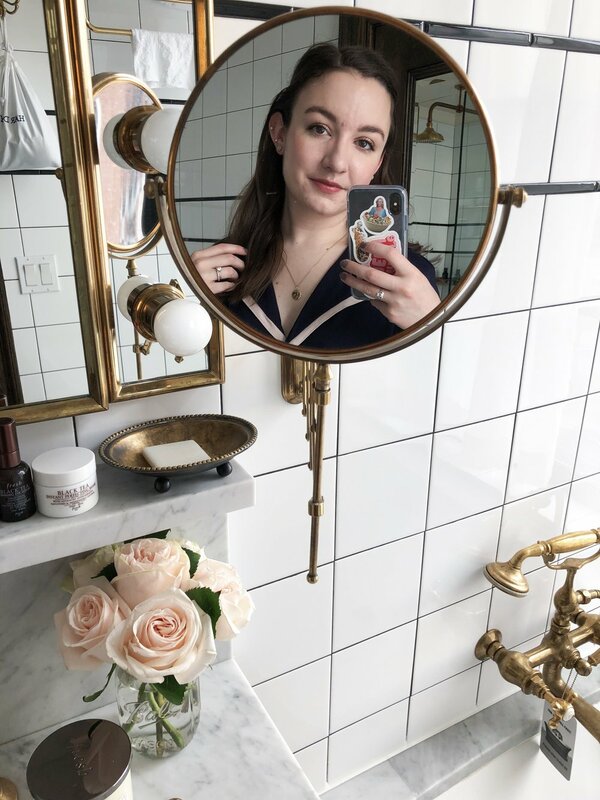 I had tried a couple lipsticks here and there, but a couple weeks ago I was on the hunt for a new bronzer that wouldn't look like I had rubbed dirt on my face and for some reason happened to be drawn to the Bobbi Brown Bronzing Powder in Elvis Duran. I'll start by saying if you're as pale as me (I think I'm about NW15-ish in MAC terms), jump on this shade ASAP because it's limited edition. The shade is described as a warm terracotta brown on the Bobbi Brown website, but it doesn't read orange whatsoever - coming from someone with skin so pink that everything looks orange, that's saying something. The Bronzing Powder comes in eight shades, which is quite impressive, as usually bronzers only come in two or three. All of the shades are formulated with red and brown tones rather than the usual yellows and oranges, since those are the colors the skin naturally produces when tanning. The result is so natural that you really look like you've just come back from a 2-week beach vacation. It's absolutely impossible for me to tan, so it's nice that I can actually fake a bit of a glow now. The powder is ultra finely-milled, so while it's pigmented, it's super easy to blend into the most natural-looking tan. I apply it either on the high points of my face to look more tanned, or in the usual "3" shape on the sides of my face for some everyday definition. I've noticed I've been getting a lot less "You look so tired!" comments since I started applying this every day. It's just healthy skin in a compact. If you're in the market for a new bronzer and love the natural look, definitely check out the Bronzing Powders from Bobbi Brown - I've got my eye on one of the Illuminating Bronzing Powders next.